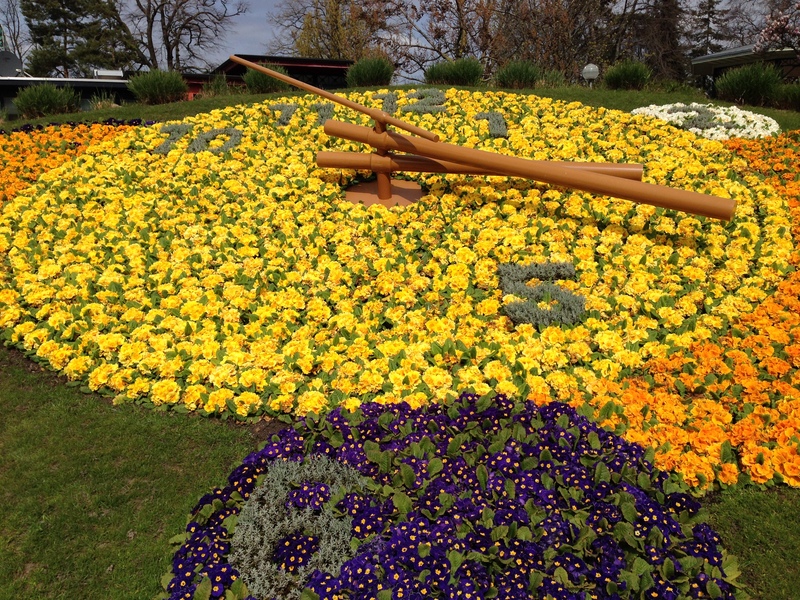 “… Upon arrival this early Spring morning, I crossed the Pont du Mont-Blanc towards the L’horloge Fleurie (flower clock) which was blooming on schedule as the over-sized hands rotated over the in-laid yellow flowers that were changed with seasonal precision. Just beyond was the ever potent Jet d’eau (water fountain) which framed a misty rainbow against the billowing sails that made their way between Alpine lakeside towns of Evian and Montreux across the crystal waters of Lac Leman. “Just like the old days” … posted my friend Mike Mossetig, a former journalist with The News Hour in Washington D.C. who has since retired and relocated to Hong Kong. He was the first to respond to my Facebook update mentioning I was en route to Geneva and Europe. The seasoned Boeing 767-300 plane reminded me of the jet-set “old days” and of my previous trip to Geneva in 2008. I had taken this same route many times when it was still a Continental Airlines flight (which has since merged with United), among the over fifty trips to Geneva while living in Washington D.C. and working for two global law firms for over a decade. Six Springs ago, I was at the peak of my previous career and was traveling to Europe to participate in a seminar hosted by my former firm’s London office featuring the Deputy Trade Minister of Ukraine Valeriy Pyatnytskiy on May 14, 2008, just after he led his country’s delegation in concluding its 14-year WTO accession negotiations. Ukraine is now making headlines again with the recent annexation of Crimea by Russia, and given the struggles the country is facing politically and economically. On that last trip, I also had an interview for a global advisory position with a prominent Swiss insurance company. Looking back on that moment, if I had remained in a corporate role – the past six years would have resulted in a far different existence… I would have been a wealthier and more traveled man, but perhaps not as enriched as from the independent path I eventually took. The following year in 2009 upon returning to Los Angeles, I established a consulting practice and creative business in pursuit of a passion. The seasons have flown by in the West where I had to learn survival skills in an entrepreneurial world, and now am re-learning as an Executive MBA student at UCLA Anderson and its partner program in Singapore. “Ground Control to Major Tom,” was a repeated lyric from the David Bowie song “Space Oddity” in movie “The Secret Life of Walter Mitty” – which I watched during the flight to Geneva on the 3×5 postcard-sized screen of the plane. Mitty’s character played by Ben Stiller was prone to daydreaming about an exciting life, but in reality had not gone anywhere, or done anything notable. At the start of the movie, he turns 42 and had been living a life lacking in purpose, respect and romance. Coincidentally, I am also about to turn 42 and anticipate major transitions ahead. Looking back, I am grateful for the lessons learned and miles traveled thus far, despite being more grounded in recent years. Like Mitty, I have embraced substantial risks and challenges… which hopefully should lead to further exploration and greater meaning in the new era. 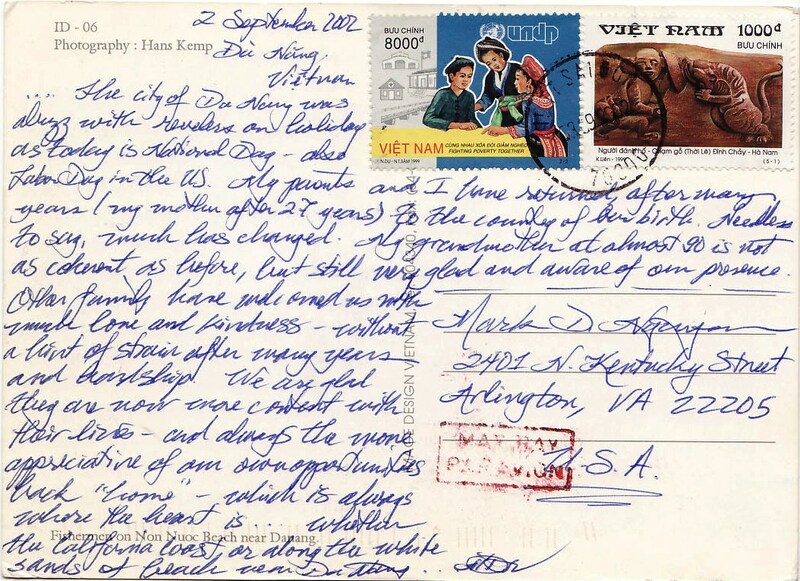 “… The city of Da Nang was abuzz with revelers on holiday as today is National Day — also Labor Day in the US. My parents and I have returned, after many years (my mother after 27 years) to the country of our birth. Needless to say, much has changed. My grandmother at almost 90 is not as coherent as before, but still very glad and aware of our presence. “She passed away this week,” my mother said of her aunt, my great aunt Ba Le — who I first met in November 1996 over 16 years ago, on my first trip to Europe. 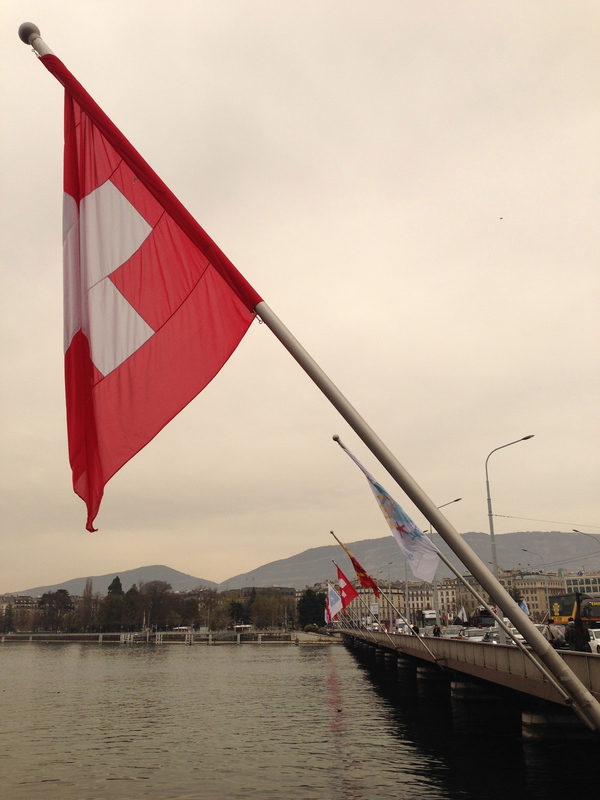 I wasn’t sure if my great aunt was still living in Lausanne, as she had moved over sixty years ago to France, then Switzerland — before Vietnam was divided at the 17th parallel between the North and the South by the Geneva Accords concluded on July 21, 1954. It was during the Geneva Conference which negotiated the Accords that the decisive Battle of Dien Bien Phu was fought, beginning on March 13, 1954 and ending with the climactic French defeat on May 7, 1954 — marking the end of French occupation of Indochine which lasted from 1887-1954. The end of French colonialism set the stage for U.S. entanglement in the Vietnam War for the next two decades during the Cold War. It was also 38 years ago this month that the Vietnam War ended, and with the Fall of Saigon — my parents, relatives and I fled the country as the Communist forces of the North overran the South and unified a divided nation. April 30, 1975 was also a watershed moment in American history as diplomats were evacuated from the U.S. Embassy at 4 Le Duan Blvd in downtown Saigon — which reopened in 1999 as the U.S. Consulate in Ho Chi Minh City. In fact, my good friend Robert Ogburn who I met while an intern at the U.S. Department of State in 1993, has returned to serve there in his current posting as the Deputy Consul General. It is amazing how much Vietnam has been transformed, and is now quite welcoming of former Western adversaries and diplomats, as well as its ethnic diaspora like me, my parents and my great aunt — who have returned to our place of birth after wars and generations have passed. So began the tale my great aunt told me of her childhood amour back in the colonial days when Vietnam was part of the French colonial empire known as Indochine. “We were not permitted to marry,” she explained, with a deep pause. The young composer who was captivated by her beauty did not survive long after their relationship ended, given the strict traditions of the day on appropriate love and profession. Shortly after, his remaining artistic aspirations crumbled when his respected parents destroyed many of the seemingly frivolous songs he wrote as a means of disciplining him into reality. However, with the withered songs of love, so went his broken heart. His friends managed to salvage his compositions, and posthumously shared the secrets of his brilliance. As for my great aunt, she ended up leaving Vietnam before the end of the French occupation in 1954 to marry a gentleman in France. Later, after being widowed, she remarried a gentleman in Switzerland. 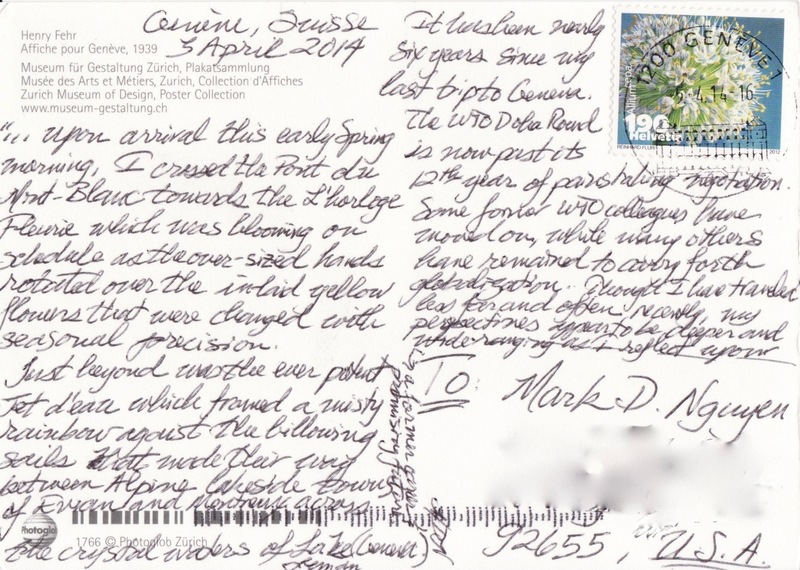 She currently lives alone in Lausanne in her grand age, where I have come to visit on my first trip to Europe. There on the mantle in her small apartment were photos of the three men she loved in her life — tributes to their memory and her fascinating journey from Indochine to Paris, and now Lake Geneva. My father also happened to return to Vietnam this week upon retiring earlier this year. For the first time in his life, he is no longer burdened by a labor intensive job, and can finally take more than a few weeks off to relax with our relatives and his childhood friends. 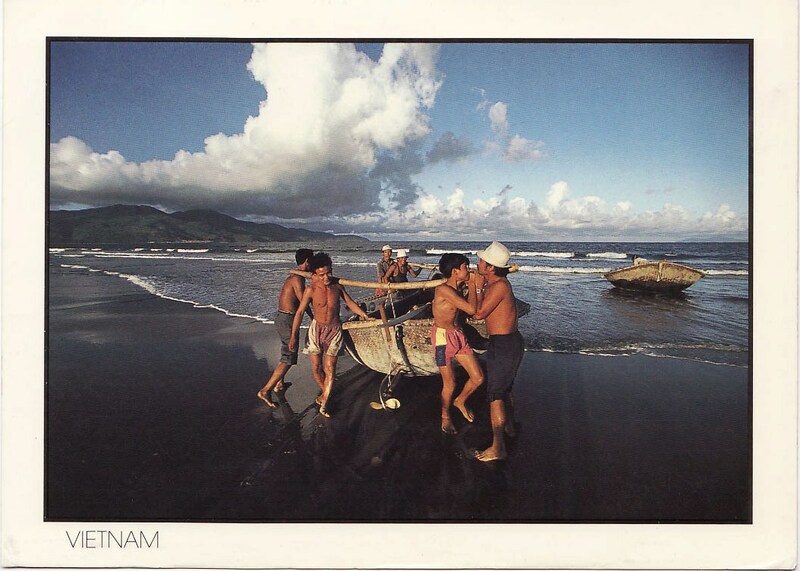 He is spending nearly three months at his birthplace of Da Nang or “China Beach” pictured on the postcard above, which I wrote when I returned with my parents in 2002. “I plan to visit Laos for the first time.” He told me as I dropped him off at LAX airport earlier this week. His statement struck me and reminded me of when he dropped me off at LAX nearly two decades ago, when I left for Laos for an internship at the American Embassy in Vientiane during the Summer of 1994. It was my first trip abroad as a young adult and recent college graduate, and I was incredibly smitten with wanderlust. The following year on July 11, 1995, the United States and Vietnam normalized diplomatic relations — allowing me and other Americans to visit Vietnam after a 20-year embargo. Laos is next door to Vietnam. I was quite surprised my father had never been before, and waited until his retirement to visit. After 65 years of experiencing warfare in support of U.S. troops, toil in American factories and sacrifice to establish his family in our adopted home — my father is finally allowing himself to visit Laos. He must have been proud his son went to Laos before he did, and the nearly 40 countries that I have ventured to since then. In memory of the recently deceased and in respect of the living, I am ever grateful for the opportunities to have lived freely, loved dearly and pursued an artistic passion — no matter how fleeting. The adventures have been enormously rewarding, whether to foreign and familiar lands, or to have expressed myself through writings and songs. The destination, as cliche as it may sound, is not necessarily the end goal — but rather the journey itself. May you also have the chance to live your lives with fewer regrets, higher hopes and greater fulfillment.